Junior forward Will Trawick dribbles around an opposing player. Trawick brought in 23 and six points in the Eagles wins over Trinity University (Texas) and Washington University in St.Louis (Mo. ), respectfully, last weekend. Courtesy of Emory Athletics. The Emory Eagles had a successful weekend at the Washington University in St. Louis (Mo.) Lopata Classic winning two of two games and bringing their record to 6-1 on the season. “It’s always good to go away like that. We treat it as a tournament,” Head Coach Jason Zimmerman said. “[There isn’t] a lot of time in between games. [It’s] like a UAA weekend. On Friday, the Eagles first defeated the Trinity University (Texas) Lions 83-74. Senior forward Alex Foster and junior forward Will Trawick led the team offensively with an impressive 23 points each. Senior guard Josh Schattie also scored in the double digits with 14 points. Emory scored 45.3 percent of field goals to Trinity’s 46.7 percent. The Eagles also scored 40 percent of its 30 attempted threes, while the Lions scored 38.1 percent of their 21. Sophomore forward A.J. Pulliam headed the Lions’ charge with 23 points, followed by senior guard Matt Selling with 14. Although the Eagles came away with a strong win, Trinity is by no means a weak team. The Eagles and the Wash. U have a long time rivalry with the Wash. U Bears having the edge so far over Emory. Washington University is nationally ranked third, while Emory is sixth. On Saturday, the Eagles took on the University of La Verne (Calif.) Leopards, pulling ahead 80-59. Foster once again led the team offensively, scoring 13 points, followed by senior point guard Michael Florin with 12. Sophomore forward Austin DaGue added 10, notching his second double-digit score of the season. Sophomore guards Hakim Arnold and Kendall McClain led the Leopards with 20 and 11 points respectively. 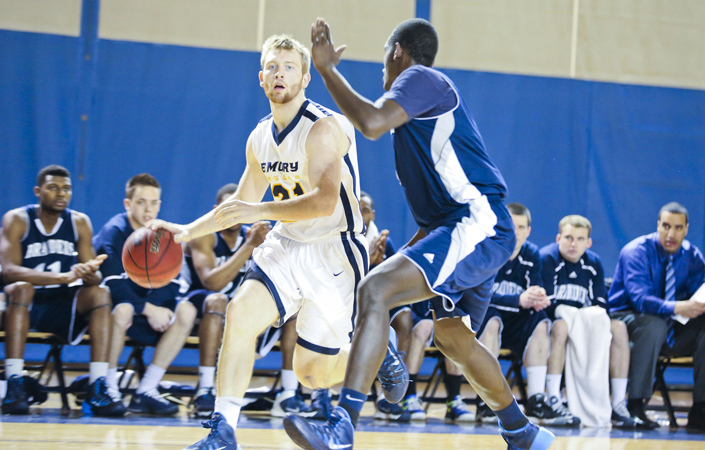 Emory made 41.5 percent of its field goals with La Verne making 37.7 percent. On three pointers, the Eagles scored 34.6 percent (9) of their 26 attempted while the Leopards scored only 18.8 percent (3) of their 16 attempted. 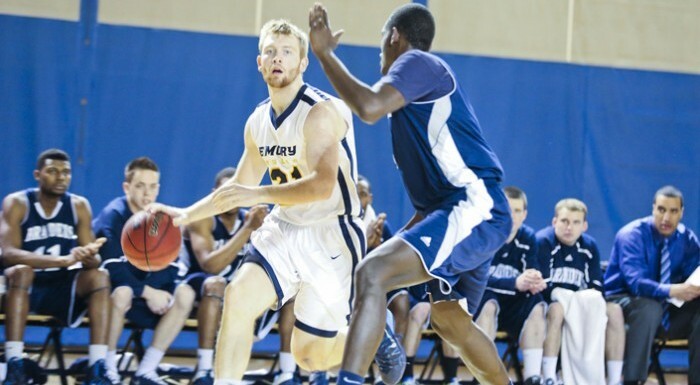 Emory rebounded 49 over the 36 of La Verne. The Eagles return to action on Wednesday, Dec. 10 when they travel to Covenant College (Ga.) for their final game of the semester.